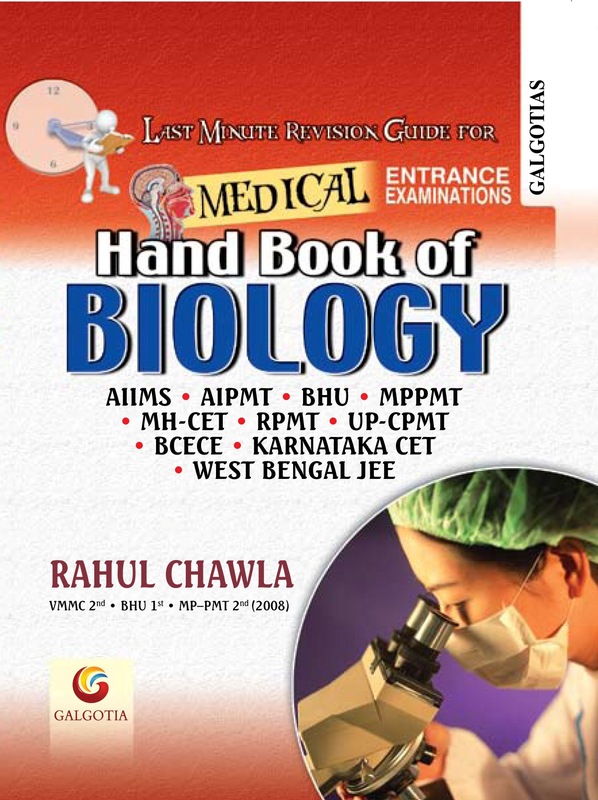 Handbook of Biology has been launched and is available in the markets. I havnt seen such awsome text that helps a last minute revision. It is really knowledgeful for biology. yeah! sir!! even i completely agree..that this book is indeed awesum!! because this kind if book i don think is available anywhere(coz i havent come across this kinda book).This book is superb from start to end.The way you have actually guided as to how to appear for your exam and attempt your question paper are really explainedd so nicely that after reading that i fely enthusiastic and i had my spirits lifted up. And, yeah! the best part is mnemonics..it was really superb. I mean it makes it so easy to learn certain things which are actually difficult. BUt seriously sir i would really wish to thank you from the bottom of my heart for bringing out such kinda book..thanks sir!it actually is a perfect last minute guide. I just hope i get through my entrances this time which is really important..:). a must buy for all the pmt aspirants,.,.!!! thanks..I request you to give your feedback . click here to submit your feedback.. 10 Best comments would be published in my coming book Biology @ your fingertips and also in the next edition of Handbook of Biology along with your name.